On 11th Muharram (10-1-2017) of the Hijri year, Crescent International outlined the framework of the cold war between the Zionist entity and Hizbullah. Since that analysis was published several months earlier, the mode of confrontation between the Zionist regime and the resistance front led by Islamic Iran has evolved within the parameters we had forecast. 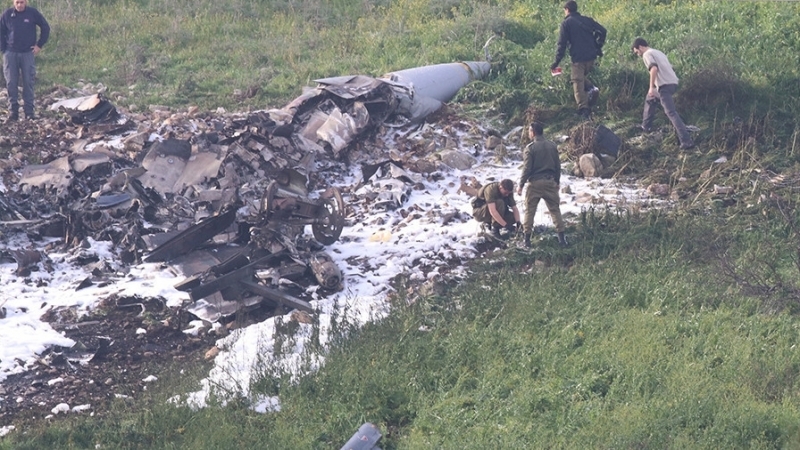 Nevertheless, the latest shooting down of an Israeli fighter jet that carried out terrorist attacks against Syria, has removed the last Zionist deterrent far earlier than we had anticipated. Prior to the 2006 war with Hizbullah, the so-called conventional army of Zionist Israel was used as a deterrent against Arab nations surrounding occupied Palestine. 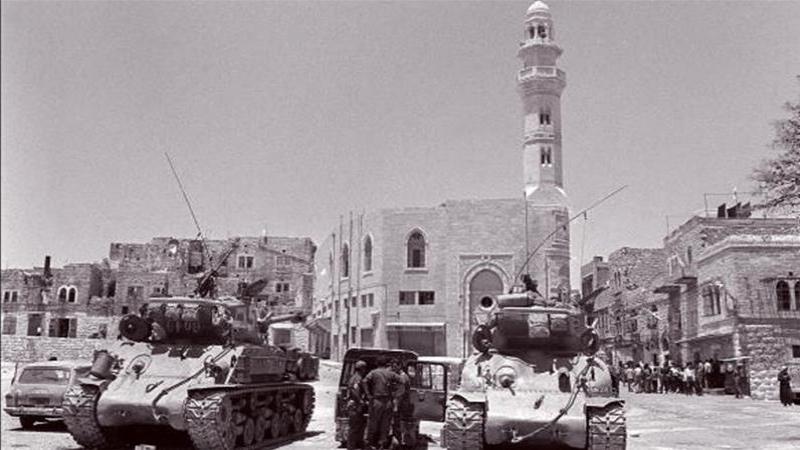 The 33-day war, which ended in a socio-political fiasco for Israel and a significant military dent, completely eliminated the deterrent once enjoyed by Israel through its conventional army. When the war against Iran and Hizbullah within Syria was launched, the Zionist entity openly acted as the air force of the takfiri terrorists. Once it became clear that the imperialist project against Iran in Syria failed, Israel increased its air attacks against the sovereign state of Syria. As Crescent International had forecast, Israel overplayed its hand. In 2006, Hizbullah broke the myth of invincibility of Israel’s armored divisions made up of the Merkava tanks. Now, air superiority of Israel is history. Some might claim that Israel still has the nuclear deterrent, but its nuclear weapons are useless in the struggles in which it is involved. What is it going to nuke? Gaza? Lebanon? The impact of the nuclear weapon and radiation will wipe out the Zionist entity itself. In any future confrontation with the Zionist entity its air force will not be left unpunished and the Zionist regime now realizes that the playing field has been levelled. This is a strategic game changer, in the long-run. 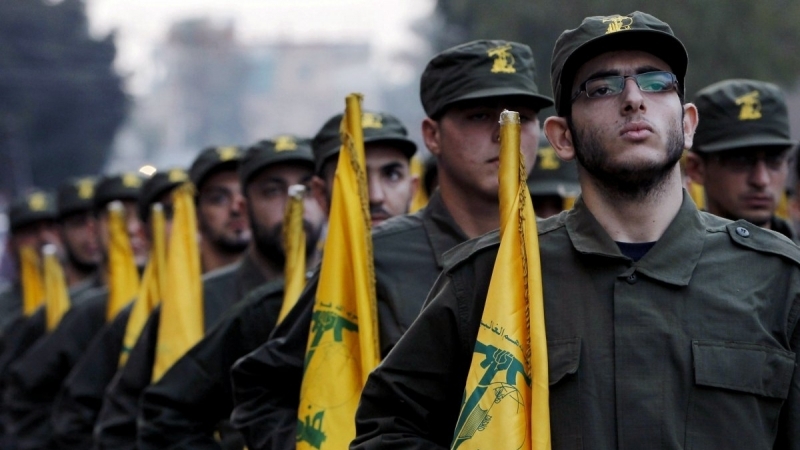 Syria, Hizbullah and Iran have now openly demonstrated that they can impose significant constraints on Israel’s aggressive behaviour. When the Donald Trump regime attacked Syrian Shayrat airbase in April 2017, the corporate and many of the regional Muslim media outlets were euphoric. Trump’s attack was quickly projected as a sign that the US is on the side of oppressed Muslims and supports them in their struggles. 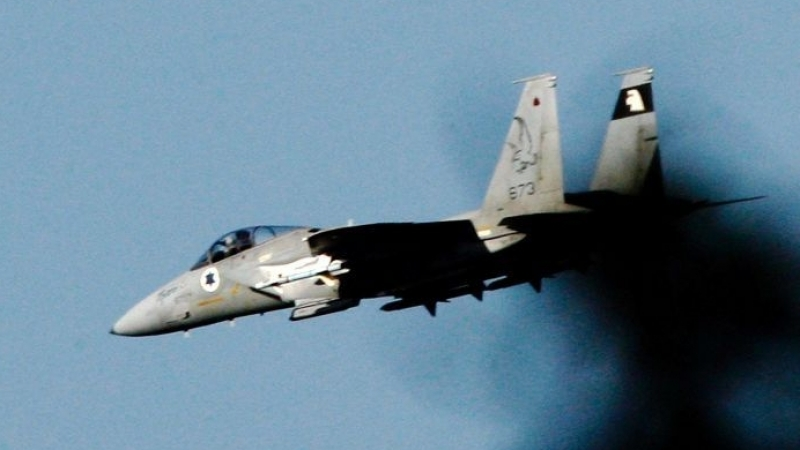 There was very little of that when the Israeli air force got a bloody nose for the first time since 1982. Why? The legitimate elimination of an Israeli warplane is a significant blow to NATO’s political propaganda in Syria. 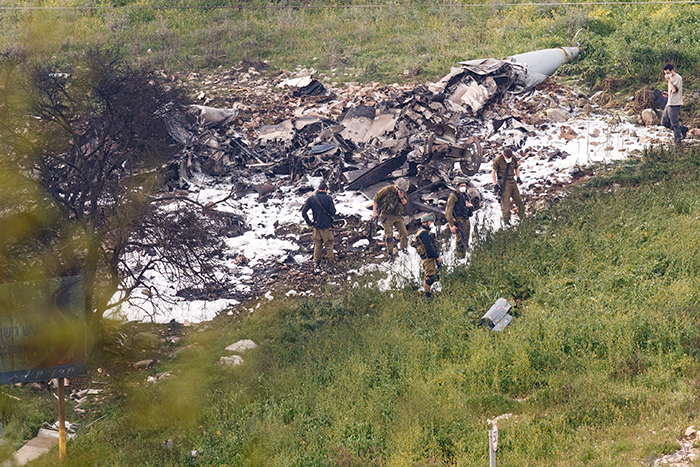 Wreckage of the remains of the Israeli F-16 shot down by a Syrian surface-to-air missile; before crashing, the plane succeeded in making it back to Zionist-colonized territory in the northern Jezreel Valley (Marj Ibn ‘Amir). The plane was on a bombing mission targeting Syrian army positions that had been liberated from the combination of NATO and takførø terrorist incursions. 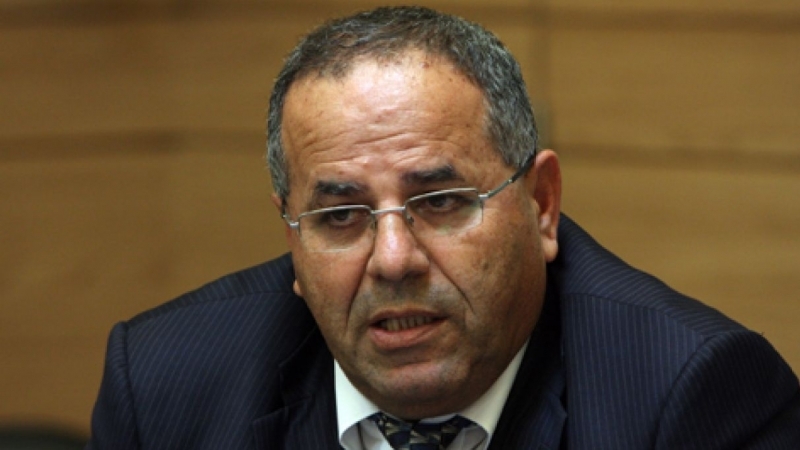 A spokesman for Iran’s Supreme National Security Council said the Syrian response was “…a clear warning to Israel. The era of Israeli strikes on Syria is over.” He vowed a “relentless response” to “all further aggression.” A Syrian statement said Israeli jets targeted a drone base in central Syria whose mission is to gather intelligence on ISIS terrorists in the area. It said the station was hit while drones were on regular missions in the country’s desert in Homs province. The statement said it was “a lie and misleading” to say the drone had entered Israel’s airspace. Since the beginning of the war on Syria, the corporate media has deliberately projected the takfiri groups like ISIS, al-Nusrah, Ahrar al-Sham, etc. as “superb” fighting forces — even though, fighters from al-Nusrah Front, which is affiliated to al-Qaeda, failed to capture the Aleppo prison they had besieged since April 2013. In 2014 it took one year for the takfiri terrorists (ISIS) to capture Tabqa airbase, which was under siege for over a year within territory almost completely under their control. In September 2015, al-Nusrah Front captured Abu al-Duhur, a Syrian military airbase in Idlib region after besieging it for nearly two years in an area dominated by NATO’s proxy forces since 2011. All of this “spectacular” blitzkrieg to capture military bases (we are not talking about cities) is taking place with open logistical, financial and military support from NATO states, the GCC and the Zionist entity. The above mentioned takfiri groups disguising their crimes under the mask of being fighters against oppression of Muslims, have not only never challenged the region’s main oppressor, Israel, but actively received assistance from the Netanyahu regime. The recent elimination of the Zionist jet has completely unmasked the conformist nature of the Saudi-minded terrorist groups. Salih al-Hamwi, founder of al-Nusrah Front in 2012, openly expressed support for Israel’s attack on Syria. Events in the post-Israeli jet destruction phase will continue to evolve against Israel’s interests. The Zionist regime’s grip on Palestine and its regional reach are built on military myths that the Arabian dictators helped it construct. Today these dictators are far more fragile than 10–15 years ago and the resistance front led by Iran is far more powerful than it used to be. While Israel will try to learn lessons from its latest fiasco, it is the Muslim masses that will continue to be manipulated to view brothers as enemies and enemies as allies. It is the duty of Muslim intellectuals, activists, and scholars to lift the veil of sectarianism and guide the Muslim masses toward unity and resistance against neocolonialism. If Muslim elites fail in this, internal strife will always hinder progress as it is the most potent imperialist card in the Muslim world.